A brutal burden from hell. 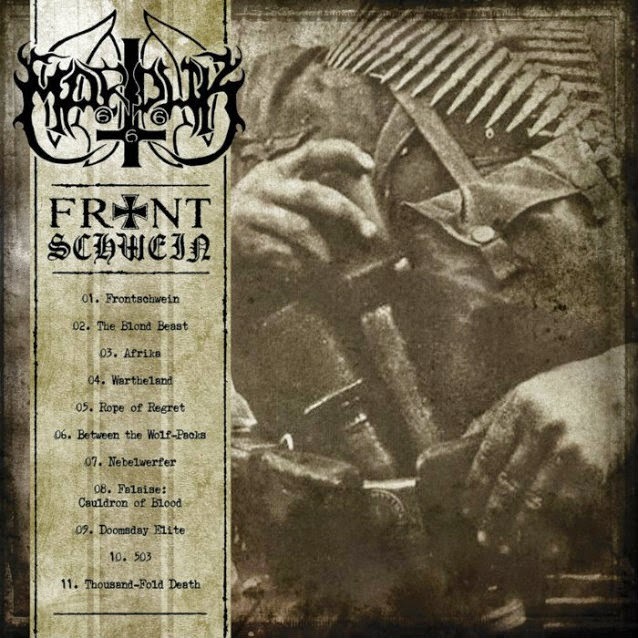 Marduk are part of that elite of bands generated during the second wave of black metal in early 1990, twenty-five years later they released their thirteenth album titled "Frontschwein" with a theme based on WWII similar to their album "Panzer Division Marduk" released in mid-1999 but the composition stands out because there is an infinite number of riff that makes it enjoyable the fierce blast beats, the fast tremolos of guitar picking, the bass to a low tone, and the insane growling are present in the entire album. 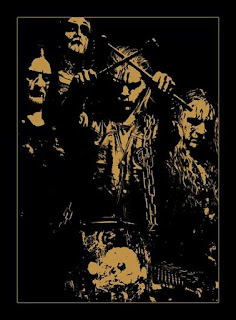 This album has its own personality, if you're expecting to listen Marduk again capture the sound he ever got on their third album "Opus Nocturne" released at the end of 1994, perhaps you will be disappointed, but I can assure you that musically they are not far to achieve their objective, I believe this album flows in a constant way and do not let you down from the first track Marduk they deliver us "Frontschwein" a fast pace with excellent riff and a killer drum session, to continue with "The Blond Beast" of medium-pace with a melodic riff and catchy blast beats "Afrika" is another track of fast pace but the riff is distinguishable from one song to another, "Wartheland" track of slow pace that manages to show the dense and dark side of Marduk, "Nebelwerfer" is a track with an essence of atmospheric black metal with a doomy riff leaking through crushing drums, the harsh vocals penetrate deep into your senses, "Doomsday Elite" I think longer than desired is a brutal blast beats black metal of medium pace, "Thousand-Fold Death" is the last track from this album's fast pace, killer riff, extremely fast vocals. I could finish that all these songs, are different in composition but were incorporated into this album in a consistent, intelligent and creative way, to appreciate all these elements that gives you "Fronschwein" it is necessary that you listen the entire album without interruption to experience the performance and solid production, It is difficult to point out negative aspects affecting this album one could be lyrics, based on WWII that many people do not approve, but in particular I enjoy it. Overall is a good black metal album, Marduk remains fully committed to create rabid recordings, which undoubtedly is going to torture your senses.